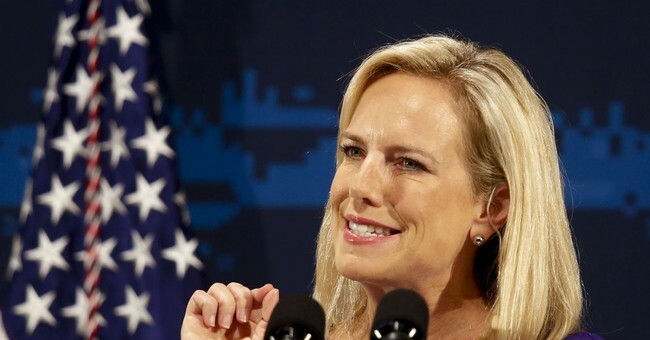 “Today I am more worried about the ability of bad guys to hijack our networks than their ability to hijack our flights,” Nielsen said during her speech at George Washington University. “Nation states, criminal syndicates, hacktivists, terrorists, they’re all building capacity to infiltrate and undermine our networks, they are weaponizing the web,” she said, citing cases like North Korea’s WannaCry ransomware which was spread to over 150 countries and Russia probing the U.S. energy grid and wreaking havoc with their malware. Nielsen pointed to the tough response from the U.S. to cyberattacks which includes sanctions that, she argued, have sent a “powerful message” to perpetrators. She added that DHS will be working with the Department of Defense to address these threats.